Hello, welcome to New Leaf. We are a charity fuelled by volunteer efforts. 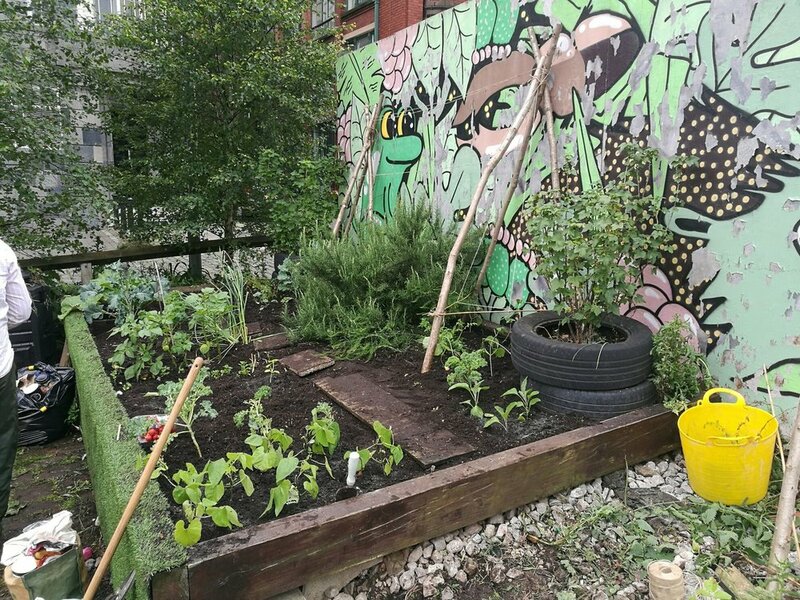 A combination of local residents and former residents of Manchester, we each bring to A New Leaf a range of expertise and personal interests in greening public urban spaces. We invest our own time and energy in community initiatives that care for the green spaces in our city, and campaign for improved access to green space across Manchester’s city centre. We are also a network and community that organise events and activities that bring people together to share in the trials and tribulations of our volunteer efforts. Friends of A New Leaf include City of Trees, The National Trust, Hulme Community Garden Centre, Skyliner, Countryscape, Reason Digital, University of Manchester and Manchester Print Fair. We value green space in urban areas and we are motivated by one another’s experiences of caring for the projects and initiatives that take place across the city. This includes guerilla gardening, design activism, allotment gardening, managing green and blue infrastructure, supporting community garden centres, tree planting, graphic communication and print making, bee keeping, health and well-being, educational programming, flash fiction and creative writing.... and so the list continues. Let us know your ideas for greenery and green spaces, or get in touch to let us know how you can help make them happen. You can help us to green the city just by planting some seeds of thought.